The IBSF informed Voevoda of the sanction in a letter sent directly to the now retired Ukrainian-born 38-year-old last Wednesday (December 23), seen by insidethegames. The suspension has not yet been made public by the IBSF, however. Voevoda was among the Russian athletes sanctioned by the International Olympic Committee (IOC) Disciplinary Commission for their role in the orchestrated doping scheme carried out by the country at their home Winter Olympics and Paralympics in Sochi. 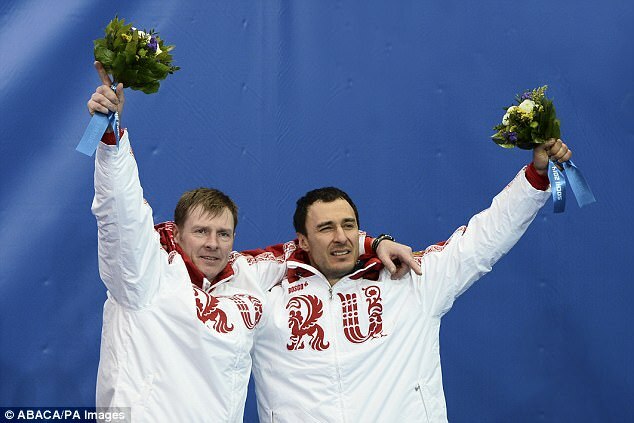 The decision disqualified him from the Games, where he won two-man and four-man gold alongside pilot Alexander Zubkov, and prohibited them from participating in the Olympics for life. The Court of Arbitration for Sport (CAS) agreed he was among those involved in the doping operation but ruled against the lifelong Olympic suspension. Voevoda was given a provisional suspension by the IBSF last year as a result and his ban has been backdated to December 21. “The CAS found that you committed an anti-doping rule violation for the use of a prohibited substance and the use of a prohibited method (i.e urine substitution of your sample,” the letter sent to the athlete adds. Voevoda follows Zubkov, Alexander Kasjanov, Aleksei Pushkarev and Ilvir Khuzin in being hit with a two-year ban by the IBSF. Zubkov’s punishment effectively forced him to stand down as Russian Bobsleigh Federation (RBF) President as the suspension from the IBSF barred him from participating “in any competition or activity”, including serving as an official in a National Federation. It meant he will be unable to carry out his duties as the head of the RBF until his suspension expires on December 12, 2020. The Russian Olympic Committee pressured Zubkov to relinquish his position for the duration of his ban and he temporarily stood down last week. Sochi 2014 bid leader and RBF vice-president Elena Anikina has assumed the role of President on an interim basis. The RBF fully expect Zubkov to return after his ban has expired.